My memories of the summer of 1989 are of a summer of firsts. It was CFT’s first season in the new Minerva Theatre and it was the first time the Youth Theatre was officially in the season programme. 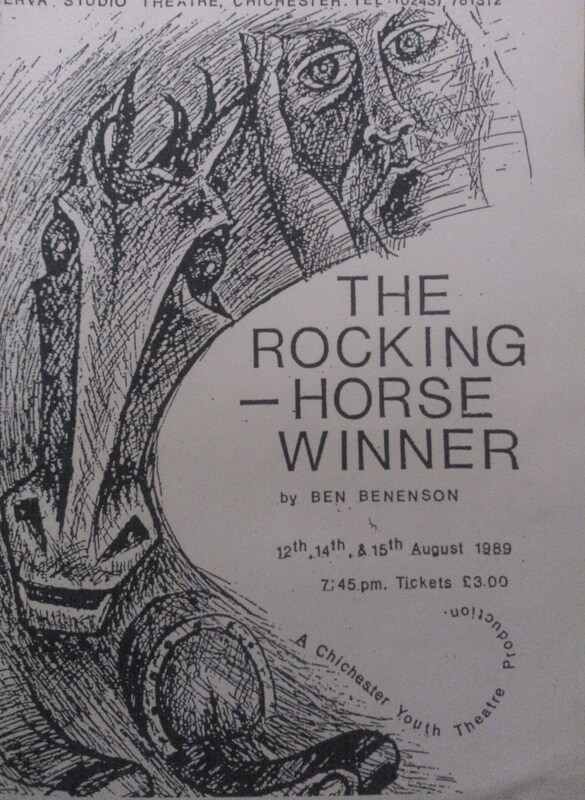 It was my first main part in a Youth Theatre show and it was my first kiss, (albeit courtesy of the stage directions of the play). 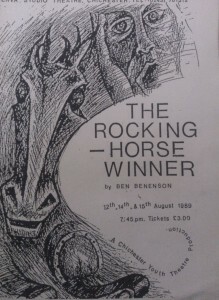 The shows were Lords of Creation by John Wiles, a stage version of DH Lawrence’s The Rocking Horse Winner (my show) and A Mad World my Masters by Barrie Keefe. If the Tent had lent its atmosphere to creating the world of the play, the Minerva gave its essence to the world of the professional theatre. For of course, that is what it was. 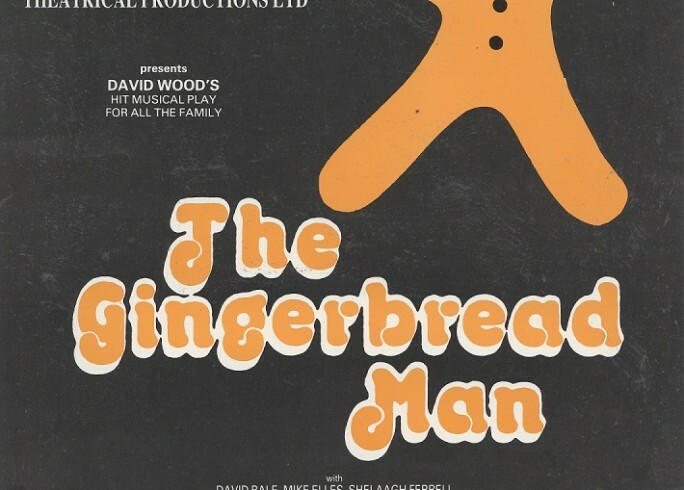 The resources we had (technical, stage management, dressing rooms and acting space) were those also used by the Festival Theatre professionals. Speaking for myself at least, I didn’t realise until later how lucky we were.